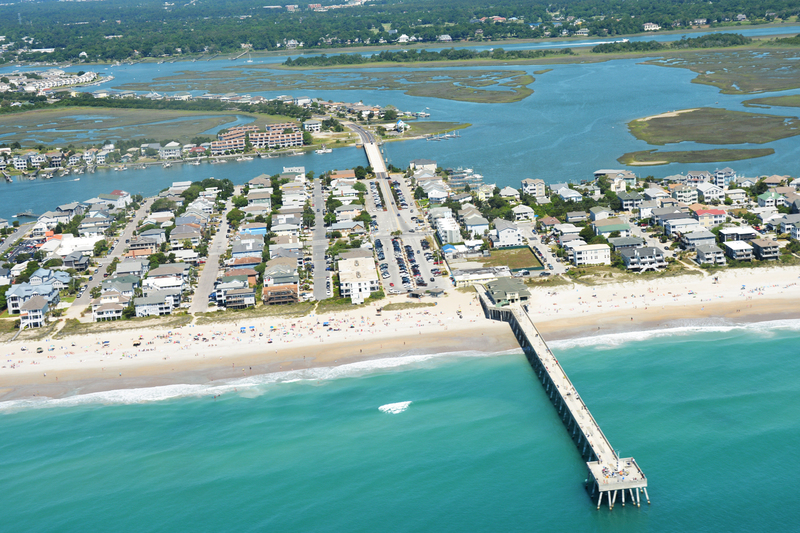 For more information and videos, click on the Wrightsville Beach category to the right. Wrightsville Beach is a beautiful 4 mile island with rich history, dating back to the 1800's. The first structure on the island was the Carolina Yacht Club, originally built in 1853. In 1887, the Wilmington Seacoast Railroad Company was granted a charter to build a track that would extend from Wilmington to Wrightsville Beach. 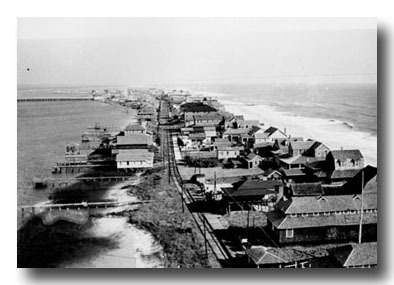 This track brought railroad transportation and a footbridge to the beach, starting the increase of development on Wrightsville Beach. The Beach Trolley began in 1902 and was in service until 1939. In the summer of 1926, the Causeway Bridge was constructed which allowed for the first automobile traffic on the island, followed by the construction of Waynick Boulevard 10 years later. Johnnie Mercers Pier and The Crystal Pier were both originally constructed after the Wrightsville Beach fire in 1934, which reportedly destroyed around 103 buildings. The devastating fire was not enough to stop further development of the island. Construction continued as more and more businesses opened and the population grew. In 1941 the first post office opened, followed by the opening of Blankheads Neptune Restaurant in 1946- the only seafood restaurant at the time. Many of the first businesses and organizations remain on Wrightsville Beach today and are a wonderful reminder of the strong community. Robert's Grocery on Lumina Avenue first opened in 1919 and is still in business today as the only grocery store on the island. The Harbor Island Garden Club began in 1952 to help maintain the beauty and natural landscaping of the island, and the club's activity is still visible now- 56 years later. Now, Wrightsville Beach and Harbor Island are developed with over 1,200 residential properties, many delicious restaurants, bars, shopping, and ample space for outdoor water activities. -Prohibited activities and items include: Alcohol, Smoking, Glass Containers, Fires, Vehicles and Grills. -No dogs are allowed on the beach from April 1st- September 30th. The remainder of the year, dogs on leashes are allowed to enjoy the beach with their owners. -Paid Parking is in effect from March 1st- October 31st of every year. Residents are allowed 2 parking passes per household that allows them to park in meter spots without paying. Whether you are looking for a permanent beach residence, income property, or a vacation home, Wrightsville Beach has the coastal charm and property inventory to suit your needs. The newest listings in Wrightsville Beach are below. If you have any questions or would like to schedule a showing, call any member of Bobby Brandon Real Estate Team today! Four Channel Ave Con Bldg.